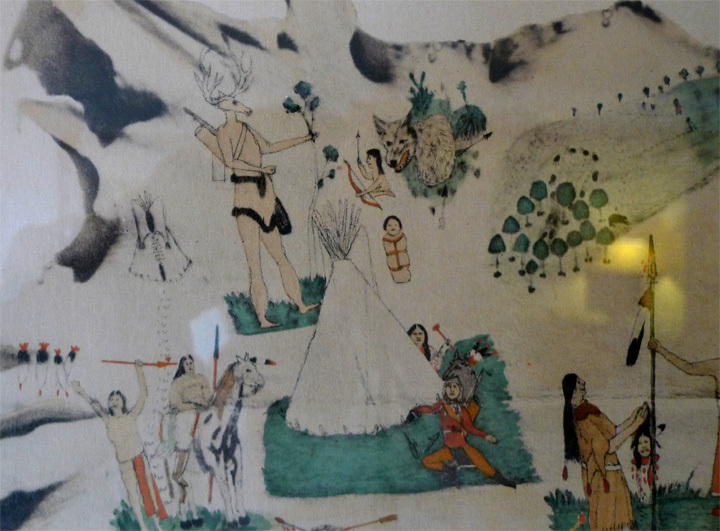 Last month while in Santa Fe, I was struck by a couple paintings in a hotel hallway. They were detailed, clean, whimsical and inventive. I liked the detail in the characters and depiction of enough information to conjure a story in the viewer’s mind. 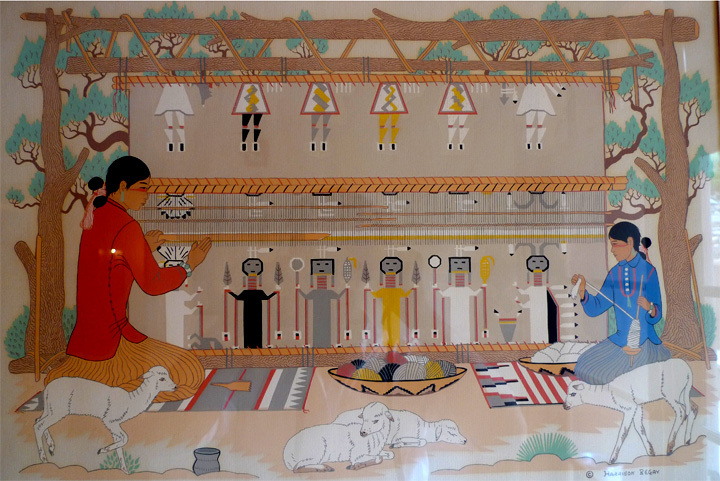 So I photographed them and looked up the artist – Harrison Begay. Of course I prefer the second one because it depicts a more detailed story or series of stories and presents fantastic characters. It is much larger, so I only photographed a small detail.